We worked closely with the owners and operators of the venue, together with an array of specialists in the hospitality sector to come up with a layout that not only complemented their vision, but also met their back-of-house functional requirements. It was a real juggling act to try and keep the kitchen and service areas to a practical minimum in order to maximise the front-of-house floor area for patrons. We needed to fully understand and consider all back-of-house requirements so we could differentiate between what would be considered back-of-house and what would be the front-of-house. 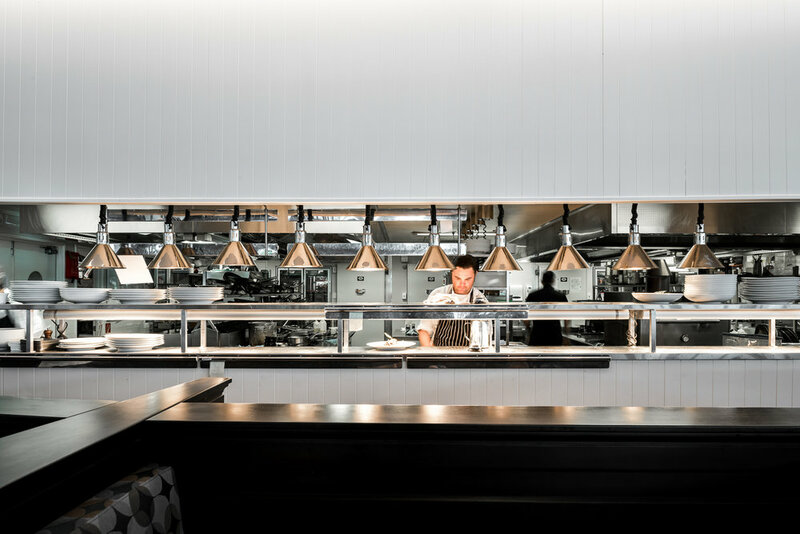 The undulating wall evolved as a solution that tastefully turned its back on the back-of-house, whilst complementing the strong commercial kitchen requirements for the “quality food” focused venue. The central courtyard space of the base-build helped create an instinctive divide between the casual lounge area referred to as ‘Bubbles’, from the restaurant seating area overlooking the Indian Ocean. 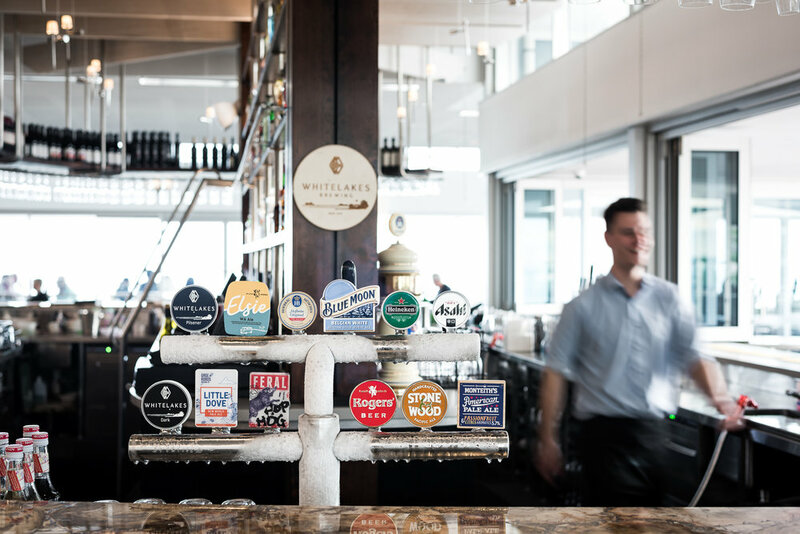 The centralised bar was not previously considered during the early master planning tenancy leasing material that was provided to the client and was another key design improvement that unravelled during the preliminary design phase of the project. 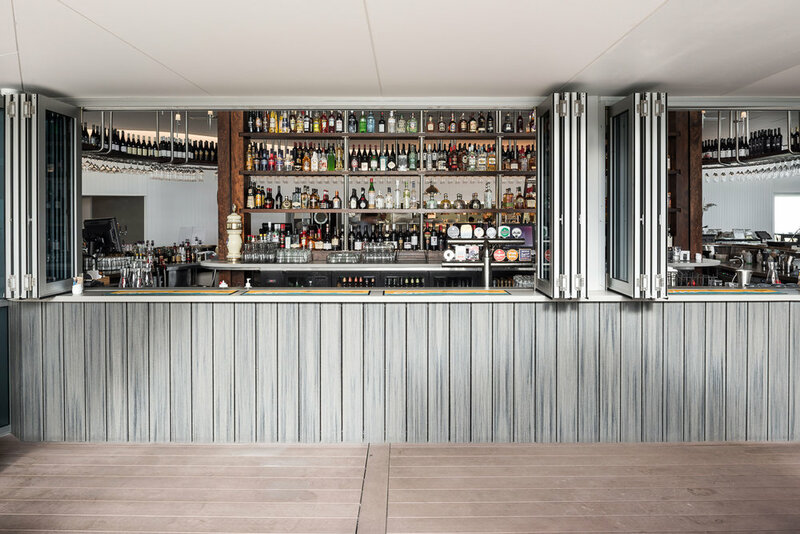 The relocation of the bar to be a centralised hub, together with installing servery bi-folding windows to the courtyard, efficiently connected both the internal and external spaces of the venue. Whilst we were only partially involved in this project, it was a valuable opportunity to work, collaborate and reconnect with many other specialists in the hospitality sector.